We’re here at last. The best sounds, the best year old game and the very best of 2015 can be found in this very post. It’s been real, 2015. I really wanted to play it in 2014 but I felt I could put it off until it was cheaper because it only featured a single player campaign. It was a fantastic title and I loved every minuted of it. It was a wonderful mix of old school and modern shooter mechanics. I loved its devotion to 60FPS. I was intrigued by the alternate universe setting and relished every opportunity to explore the game’s spaces. I sought excuses to revisiting The New Order by completing the Platinum Trophy and didn’t hesitate to grab the standalone expansion, The Old Blood. It’s such a shame they don’t make single player shooter campaigns like these anymore. This was a very tough choice. 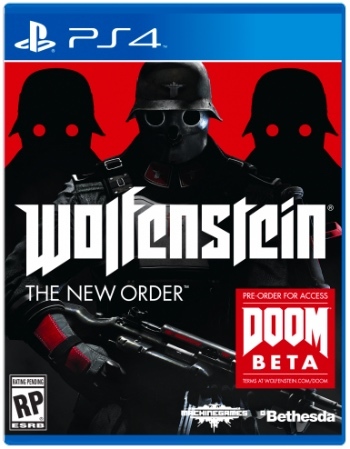 Any of the runner ups could win this but there could only be one and that falls to Wolfenstein: The New Order. I was all set to give this award to Ori and the Blind Forest but after playing Undertale and listening to the entire soundtrack daily for four consecutive days, I had to give it to Undertale. The songs are catchy. They transport me back to the best moments of a game that I didn’t enjoyed from top to bottom. There’s also the sheer quantity of different tracks that transition from beginning to end very well; shuffling the track list would be a disservice. Like with Modern Warfare 2’s, I can see myself listening to this soundtrack for years to come and not bother touching the game ever again. Ori and the Blind Forest was a shoe in until Undertale’s last minute Hail Mary. The soundtrack accompanied every moment with tremendous effect and easily tied the entire game together. It’s also a very pleasant listen outside of the game and will also reside in my iPod for a long time. Axiom Verge was a weird soundtrack. It felt at odds with the game at times and didn’t mesh as well as the other games but it eventually grew on me. It’s a bit fatiguing to listen to for the umpteenth time while I was retreading areas seeking out upgrades but given a little time, I found myself enjoying each track at least once. Despite its early launch issues, I pushed on. Despite the long 2-3 month hiatus, I returned and pushed on. In the end, I still wanted to to play more of it and even considered paying Geralt another visit via the expansion. The breadth and quality in The Witcher 3 was incredible and it was exactly what I hoped for from CD Projekt RED. What if they didn’t stop making Super Nintendo action adventure platformers like Super Metroid and The Lion King ? What if they continued to refine those types of games to a mirror sheen? The result is Ori and The Blind Forest. Life is Strange gave me “the feels” and played with the modern day adventure game’s conventions in a unique manner. They turned save scumming into an in-game mechanic! That in itself is remarkable but being able to tackle sensitive topics such as domestic violence and bullying without being overly preachy is equally amazing. Rocket League is the best representation of soccer in a video game. Bloodborne was my favorite “Souls” game because it wasn’t plagued with performance issues and inconsistent controller response. I enjoyed the de-emphasis on defense and the introduction to on the fly weapon switching. It was refreshing to see the “Souls” formula get remixed like this. Shame about the frame pacing issues though. Galak-Z was my first whiff of anything resembling rogue-like genre and I really enjoyed the challenge. It wasn’t as unforgiving as other rogue-like titles out there which I felt was a smart move to entice newcomers like myself. The 1980’s anime inspired nostalgia was a nice touch but I wish they would have extended it to the cutscenes as well. Metal Gear Solid V: The Phantom Pain was a joy to play. You will be hard pressed to find anyone who disagreed with that statement. I felt like I could pull off anything that I wanted to from a stealth or action standpoint — that’s not something any other game let alone Metal Gear Solid game can comfortably say. Unfortunately it wasn’t a great Metal Gear Solid game. It was like the anti-MGS4. Batman: Arkham Knight was what I wanted Batman: Arkham City to be. It’s the best expression of Batman in a video game form to date. I even enjoyed all the tank combat that Rocksteady threw at me. I still didn’t love the Riddler trophies though. Oh, and Batman should really stop involving proteges in his life. He doesn’t know how to handle them. I still play Call of Duty: Black Ops III’s multiplayer on a regular basis which is not something I thought I would be saying in 2016. I never played TitanFall so all this wall running is novel to me. I wish the campaign was better but it’s not enough to drag the entire package down from this list. 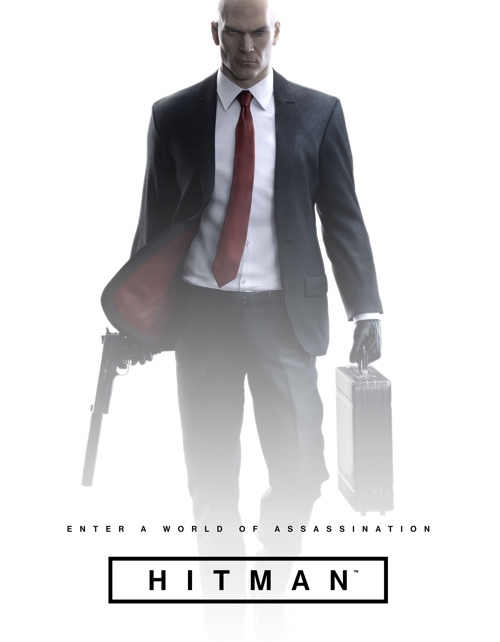 Hitman: Sniper proved to me that Square Enix Montreal can make just about any title on mobile and I would buy it. 2015 will go down as one of the better years in video games. I actually struggled to trim down my top 10 and nominees across all my categories. Today’s categories feature two Nintendo titles that I didn’t spend enough time with despite the fact they’re in my wheelhouse. Nintendo’s third person shooter made waves with its unique and innovative approach to the genre. It looked interesting every time I laid eyes on it but as soon as I glanced at the price of $69.99, I was immediately turned off. 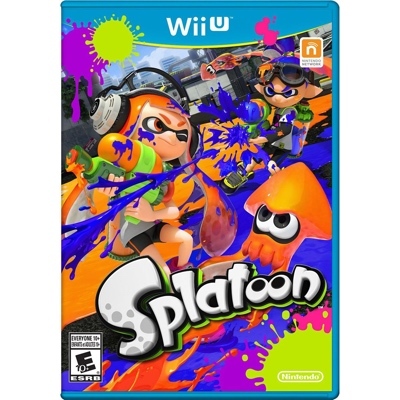 The early criticisms concerning the lack of content fell by the wayside thanks to Nintendo’s continued support with free maps, weapons and modes. 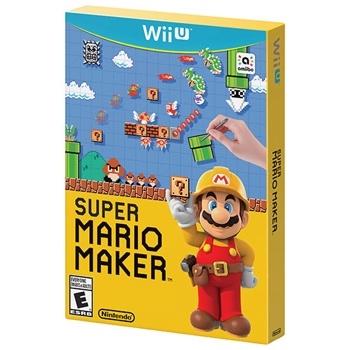 I should have pre-ordered it with Amazon.ca’s E3 promotional discount but hindsight is 20/20. Super Mario Maker should be an endless supply of platforming fun and I should have been tackling course after course but I haven’t. I played several of the pre-made levels and sampled a number of user created ones. I even made and uploaded a level but I haven’t played nearly enough to even give it a an honest review. As silly as it may sound, I think I would have played it more if I bought it digitally. As for the other nominees? I spent a solid month or so playing Rocket League but it fizzled away as soon as the third quarter approached. Psyonix continued to support it with paid cosmetic items and free gameplay content but I never found the opportunity to revisit it despite my intentions. 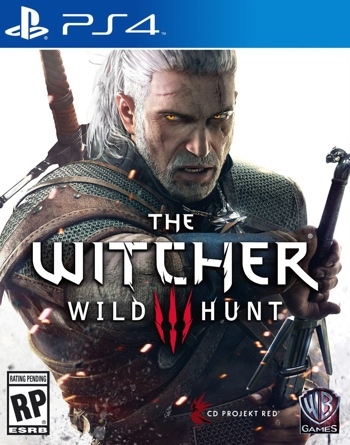 It may seem a little silly to nominate The Witcher 3: Wild Hunt in this category but I really wanted to play the expansion DLC.